ASB Election forms available in the front office or room 307–You may run for president, vice president, secretary, treasurer, or sergeant at arms. After you revise, choose one entry to be evaluated for an assessment grade. Highlight that entry. Homework: Read, Charge iPad, Practice for Voice Acting Assessment (Tomorrow). Return ATH Tomorrow. Goals: Read and use cognitive strategies to annotate a nonfiction article. Summarize the central idea and support your response with two details from the article. #064 Newsela Article: 3 Annotations, Quiz, Prompt and MARK AS DONE in Google Classroom. 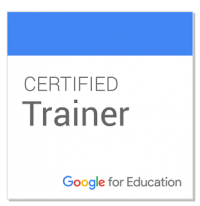 Open #065 Starter in Google Classroom or click HERE. Use the cognitive strategies ASKING QUESTIONS and SUMMARIZING to respond to the Newsela article about China’s “one child” law. If you need to read (or reread) the article, click HERE and log in with your school Google account. Click HERE to open the class assignment calendar. Copy this week’s assignments into your GVJH agenda. Press MARK AS DONE for assignment #066 in Google Classroom. Click HERE to open the Newsela article and log in with your school Google Account. Read and create 3track your thinking annotations. Highlight the text you want to respond to and choose a color. Write a response using the “” prompts or questions. Press MARK AS DONE for assignment #064 in Google Classroom. Homework: Self-Selected Reading, Charge iPad, Late Newsela work?